Here’s my final approved submission for the Dedicants Program for ADF. abilities. There are a number of different definitions of Wisdom. 3. wise sayings or teachings; precepts. 4. a wise act or saying. “- S has extensive factual and theoretical knowledge. – S knows how to live well. – S is successful at living well. theoretical knowledge”, and I don’t agree with that statement. correctly evaluate the situation and decide on “the correct response”. think that either of these is true. 2. the quality or state of being pious: saintly piety. 3. dutiful respect or regard for parents, homeland, etc. : filial piety. Neither definition fully covers what piety means to me. reverence for or devotion to the kindred to whom the act is directed. that you know or learn. strategy. It is important for leaders, but not for everyone. 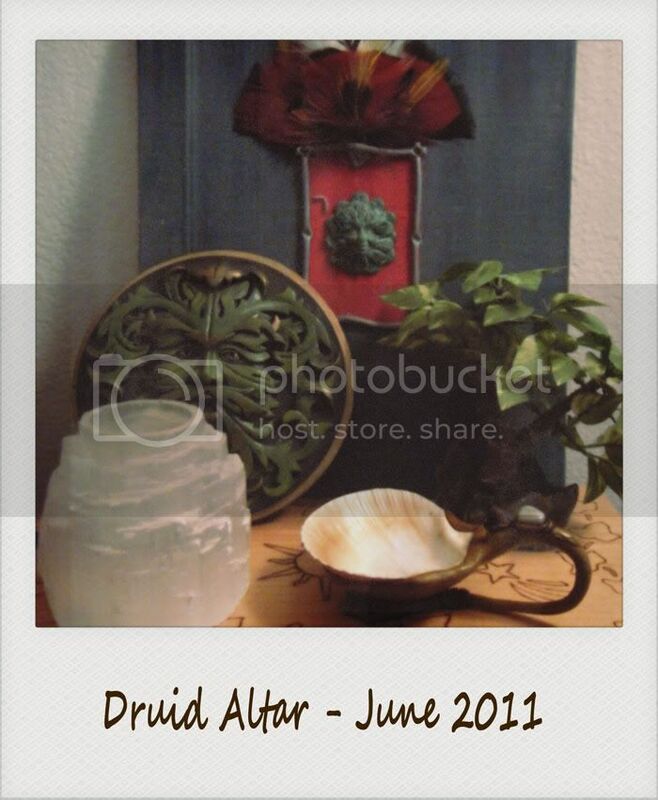 Druidry”) but that’s not all of it. appropriately in the face of danger” (ADF 82). moderate state between those two extremes is courage” (Nicholas 112). This is closer to the truth. allows us to face, and overcome, our fears. re-integrate those emotions to make myself a more whole being. can trust and depend on to do what we say. determine that the goal is worth the effort, then we should persevere. experiences beyond our current “box”. that I grew up with, but does not define the extension to the Kindred. guest whether we’re in an office, a home, out in the wild, or in ritual. study vs practice, and for many other things in our lives. taking the time to enjoy what we want out of life. ourselves. What are the right food and drink choices for us? needs mesh together to form a whole and healthy you. us, and truly experience this beautiful world that we live in. subject is less than comfortable. desire to alleviate it”(Merriam-Webster, “Compassion”). bring out a better resolution for everyone. love and compassion can you really understand what is best. perfect, and each of us have love to share. understand, and we can get through it and feel better. can we love ourselves, even with our faults? celebrated with reverence to Saint John the Baptist (Wikipedia). best of life. It’s also my anniversary of joining the ADF. obviously getting shorter and winter is on its way (Bonewits). Ireland shall not be without song (Freeman). celebrate, enjoy the harvest and absorb the strength of the sun. first of which is at Lamas, and the last of which is Samhain. bounty with the gods (Wikipedia, “Wheel of the Year”). the warmth of the sun inside. into the underworld and the beginning of the dark time of the year. The Winter Solstice is one of my favorite times of the year. Imbolc has been associated with the first milking of ewes (Black). Wheel of the Celtic Year: Imbolc”). night of the winter and celebrate the rebirth of our creativity. season (Wigington, “History of Ostara”). celebration of Beltane (Wikipedia, “Beltane”). planting rituals (Wigington, “All About Beltane”). time to be outdoors and a time to tend growing plants. Jones, Prudence, and Nigel Pennick. A history of pagan Europe. Repr. ed. London: Routledge, 1998. Print. and to the spreading of Islam in through approximately 1044 CE. BCE and follow the Celts all the way to the twentieth century CE. what’s happening in the different areas of the world at the same time. incense and candles as offerings to God. a country would convert to make trade with Christian countries easier. or force, convert their people. practices as before while the leaders of the country were Christian. highlight the changes in culture and religion. in these assumptions is not critical for understanding the text. opinions and theories that Hutton proposes. evidence to lend credence to their claims. paganism, but this balance is often differentiated by tradition. exciting to see that too. reasonable overview of the Anglo-Saxon practices that he follows. useful to any new Saxon pagan or druid. 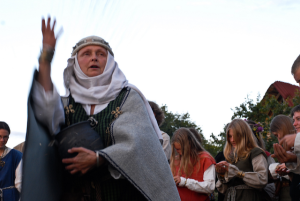 Scandinavian-Norse and Anglo-Saxon beings to be interesting. can discover and what makes sense to me. Freya, Fréo, seems to have some overlap with Frige. the rites presented earlier in the book. with the mind and the upper world from my shamanic studies. some items to represent the deities that I regularly work with. Each morning, when I do my practice, I take some time to light the fire on my altar, center myself, and do whatever rite I’m doing that day. 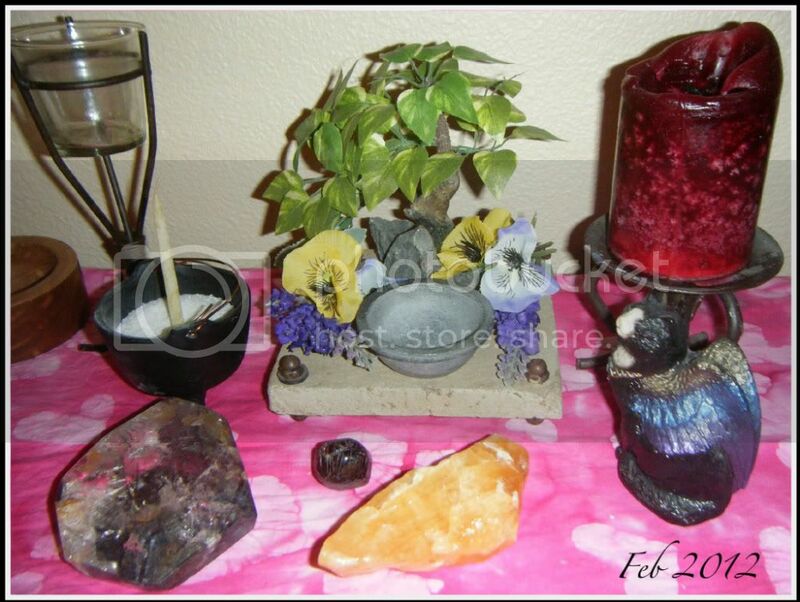 When I re-did my altar for spring, I added some flowers to celebrate the season, and changed the well to be a little soapstone bowl that came as part of an oil warmer. 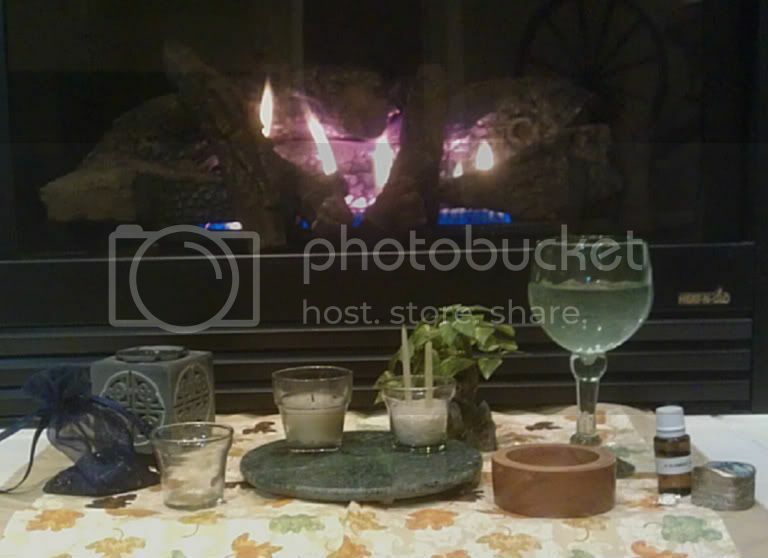 Now I have a candle for fire, the soapstone bowl for the well, and my silk tree for the tree. Also on the altar, I have a glass candle container for liquid offerings, and a wooden bowl for non-liquid offerings. The stones on the altar are my scrying stone, and a large piece of amber for my patron Freya. I also keep my runes on my altar, but they’re off to the side of the photo. Each season, I change the altar around a little, adding and removing items and decorations. In the future, I’d like to replace the tree with a wall hanging of a tree from yarn that I’ve spun myself. The idea is of a braided tree with gem & knitted leaves spreading out above, and braided roots spreading out below, on a woven background. before adding in the second energy flow and then mixing the two. leaves us both connected and in balance. information and power of the other realms. give the people who are new to meditation something to follow. past the basic Two Powers meditation. Fu forms and defense moves before my meditation. candle gazing instead. Using the 3 point technique from Thorn ..
getting easier to stop extra thoughts from going through my mind. I also feel like I’m connecting more with the spirit in the flame ..
heavens. Continued with the yoga. bit. Also started pulling daily runes. Week 12 (09/04/11) – Managed to keep up the meditations at SOAR ..
focus. Use the candle gazing techniques when that happens. notice how much I use my breath to control energy. continue to do meditations twice this week. meditation this week was from T. Thorn Coyle. online DP Program course and do the Two Powers then. meditation in the hills of Arizona. Week 25 (12/04/11) – I did meditations five times this week. did three morning meditations this week. comfortable to sit outside with a cup of tea and just be there. with different types of herbs such as rosemary, mint and thyme. include medicinal and magical herbs in my container garden. cases, these areas have a genius loci, or spirit of the place. spirits, and usually they are willing to talk back. absolutely amazing how much nature we still have in our cities. Even our apartment complex has a genius loci who keeps everything safe. I overheard once, that we need to remember that Humans are nature too. before, and the ADF ritual was very different. During the ritual the senior druid of the grove, made the offerings. know that she read the runes and Isa was one of the runes drawn. the grove, and it’s good to see how they all work together. omen as I embark upon my path. It will be challenging, but good. place to burn the offerings at home. of it and because I was acting as guardian for the ritual. pleased that nothing unfriendly tried to get in. who were there, and the support and love was strong. I think that it would be better if I did. quiet, but there was more power in the words. Ancestors, Nature Spirits and Shining Ones respectively. transition. It was both tense and peaceful. whispered thank you to the Earth. from her back into the Earth. High Day with laughter, joy and friendship. 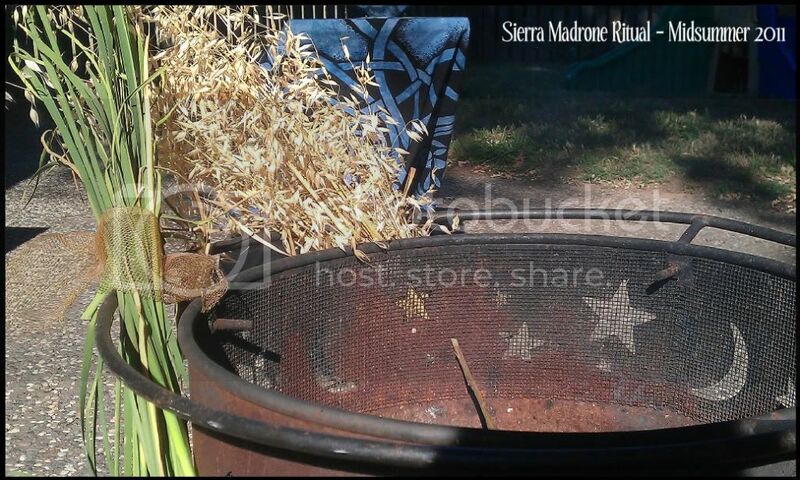 from the Sierra Madrone ritual book to add a familiar feel. official rite as a Protogrove. to the side of the area for food. auspicious for our new protogrove. After the ritual, we all sat down for a pot luck meal. and deities (shining ones) rang true to me. me. It was also the first encounter I had with death. lives in their area and time, and re-creating it today. loved hand-made easel with me and set it up as an Ancestor altar. “Gramps” watch over my morning ritual and remind me of their teachings. Ancestors of Spirit and Heart. that I encountered was a nature spirit and not one of our ancestors. interacting with were a combination of different types of beings. cause challenges for us in our rites and workings. seems to reside more often. individual beings, I find that that perspective makes sense to me. now, even if they weren’t so before, due to the popularity of the book. interpret these signs and to make our own decisions what to do. to benefit from their leadership. to contact kindred with whom I have developed a relationship. with each of the different kindred. expression of my practice of druidry. found that I’m also attracted to the Vanir of the Norse mythos. blood ties to both, actually makes sense in an Indo-European way. sensitive to scents, so incense is difficult to work with. short-term scents and to help set the scene for the working. Here I bring my offerings To celebrate the Kindred Three. be purified. And may the fire burn within. That I may be made pure. I place my hand upon the ground, Earth Mother. I pray with a good fire. Tree, I create the hallows. I bless this tree, and make it sacred. Tree of great unity, grow in me. I make to you an offering. gateway to the heavens; gateway for the Shining Ones. Heimdallr, make this fire a gate! gateway to the underworld; gateway for the Ancestors. Heimdallr, make this water a gate! earth; a gateway for the Spirits of the Land. Heimdallr, make this tree a gate! Please accept this offering In the spirit in which it is given. Shining Ones, accept my sacrifice! In the spirit in which it is given. Nature Spirits, accept my sacrifice! of the year, I call upon the Shining Ones to witness my Oath. you this day, to join me here and witness my Oath. eagle, I call to you this day, to join me here and witness my Oath. High Days, to honor the Old Ways and to learn from them. Before all the Kindred, this I do swear. up my heart, my being, As a sign of my commitment to you. Mighty Kindred, accept my sacrifice! offer. May your generosity fill my cup. Into my being, I accept the blessings of The Kindred. my relationship With the world, and with the Kindred. Kindred, And I have received their blessings. To Cerridwen, Lleu and Freya I give thanks. To the Nature Spirits, I give thanks. To the Ancestors, I give thanks. To all the Shining Ones, I give thanks. offerings and oath, and for your great generosity. I am blessed to be in relationship with you. Great Heimdallr, I give thanks to you for aiding me in this rite. I ask now that you undo what you have done. Take this Sacred Tree, and let it become the tree once again. Take this Sacred Well, and let it become the water once again. Take this Sacred Fire, and let it become the candle once again. with a good fire, And make the Old Ways new again. it’s yearly cycle, and light becomes longer. Ones, and some of my home-made rum cake for the Nature Spirits. magic. As I called my patrons, I could feel their arrival. rite. The Fae also showed up in fairly large numbers. an oath that I believe that I can keep. Kenaz, the fire of creation, the ability to define your own reality. work with others and to take the time it needs to get there. good to not use the script. I am looking forward to moving further down my path of my own Druidry. ADF. Our Own Druidry. PDF. Ar nDriocht Fein, 2009. Print. Folklore Witchcraft. 2012. Web. 24 Nov. 2012. Cyberhenge. 2005. Web. 24 Apr. 2012. Corrigan, Ian. “Court of Brigid.” Eight Winds. 2012. Print. —. A Virtuous Life? : The Nine Virtues of ADF. Ar nDriocht Fein, 2006. —. The ADF Dedicant Path Through the Wheel of the Year. Fourth Edi. Columbus, OH: Garanus Publishing, 2011. Print. Fox, Selena. “Celebrating the Seasons.” Circle Sanctuary, Inc. 2012. 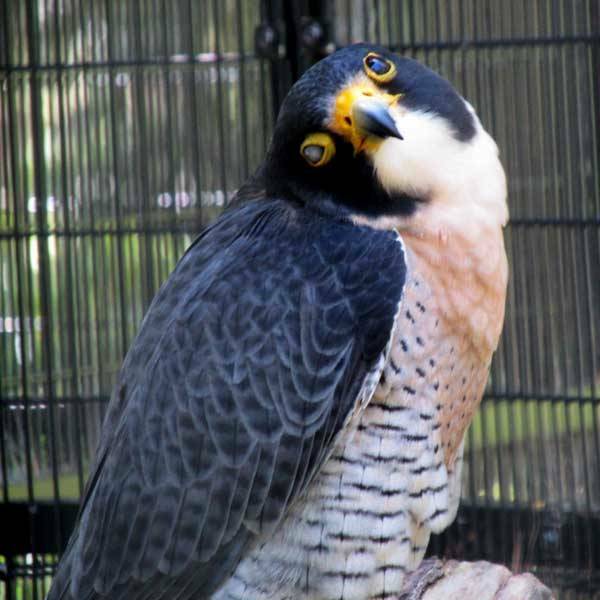 Freeman, Mara. “Lughnasadh.” Chalice Centre. Web. 24 Nov. 2012. Paperbacks, 2003. Web. 18 Dec. 2012. Comeback.” The Telegraph. 2012. Web. 27 Nov. 2012. Marshall, Garry. The Princess Diaries. Walt Disney Pictures, 2001. Film. Merriam-Webster, Incorporated. “Compassion.” Web. 24 Nov. 2012. —. “Moderation.” Web. 10 June 2012. —. “Perseverance.” Web. 10 May 2012. —. “Vision.” Web. 14 Feb. 2012. Folk Magic, Fairy Lore and Herb Craft (Green Witchcraft Series). Llewellyn Publications, 2002. Web. 24 Nov. 2012. Nicholas, Jeffery. Dune and Philosophy: Weirding Way of the Mentat. Kindle Edi. Open Court, 2011. Web. 24 Nov. 2012. “Norse Holidays and Festivals.” Web. 24 Apr. 2012. Oigheag, Leona. “Center and Circumference.” Lion & the Dragonfly. 2012. Web. 6 Feb. 2012. Paradox. “An Advanced Two Powers Attunement.” adf.org. Web. 6 Dec. 2012. Random House, Inc. “Courage.” Online Etymology Dictionary. Web. 10 Apr. —. “Piety.” Online Etymology Dictionary. Web. 9 Feb. 2012. —. “Wisdom.” Online Etymology Dictionary. Ryan, Sharon. “Wisdom.” Stanford Encylopedia of Philosophy. 2007. Web. Serith, Cei. “Cernunnos.” Eight Winds. 2012. Print. Wigington, Patti. 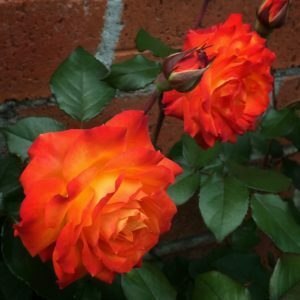 “All About Beltane.” About.com. —. “All About Imbolc.” About.com. Web. 14 Feb. 2012. —. “All About Mabon.” About.com. Web. 3 May 2012. —. “History of Ostara.” About.com. Web. 27 Nov. 2012. About.com. Web. 3 May 2012. Wikipedia. “Beltane.” Wikipedia. Web. 27 Nov. 2012. —. “Lughnasadh.” Wikipedia. Web. 24 Nov. 2012. —. “Midsummer.” Wikipedia. Web. 3 May 2012. —. “Wheel of the Year.” Wikipedia. Web. 3 May 2012. —. “Winter Nights.” Wikipedia. Web. 24 Nov. 2012. —. “?ostre.” Wikipedia. Web. 27 Nov. 2012.